The honest truth is I failed at science. Einstein on the other hand was really good at it. Maybe even the best ever? And he came up with these theories which – amongst them – if I understood what he was trying to say (which I quite possibly didn’t) – time and space were inter-related rather than separate. Accordingly, if one could travel at the speed of light – one could make time stand still. Or even better – if one could travel faster than the speed of light – one could time travel. Which makes me think – one could turn the future into the past and the past into the future and the present into the past, present, future … and stuff. And while this is pretty freakin’ cool to think about – even if still kinda confusing to understand… I’m pretty sure that for all of Einstein’s brilliance – he could not turn a bunch of beats and vocals and music into THE FUTURE – by MOTEZ. But guess what – MOTEZ could. And he made THE FUTURE sound so damn good – once this starts properly popping off like we know it will – everyone in Silicon Valley will be investing in ‘TIME MACHINE DEVELOPMENT’ companies – with everyone so keen to get a piece of THE FUTURE that our boy MOTEZ is spinning. 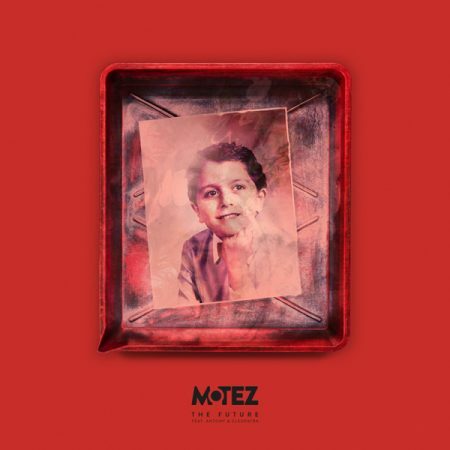 Einstein may have given the world E=MC2 – but MOTEZ has gifted the world with THE FUTURE. This is music for your soul peoples. Beautiful, heart-warming yes – but catchy as a cold in Siberia. And while this may be a slight departure from the more club friendly Motez we know and love, this is just the flexing of the muscles he has always had. Kinda like when Clark Kent becomes Superman. And what a line-up we have on the remix pack!!! But as THE FUTURE is here forever… right now we only giving you a taste. So here you have PURPLE DISCO MACHINE and EYES EVERYWHERE. Stay tuned for the REST of THE FUTURE!!! This entry was posted	on Thursday, August 10th, 2017 at 8:11 pm	and is filed under cutTheNoize. You can follow any responses to this entry through the RSS 2.0 feed. You can leave a response, or trackback from your own site.